In addition to the running shoes, gloves, compression socks and other sports attire you will obviously need during obstacle racing, not many people will tell you how essential a high quality hydration pack is. It is undisputable that you will need to be well-hydrated at all times during this race, and even though the organizers may have put up several water stations, they may be further apart, making your hydration pack handy in conveniently accessing your water bottle. Based on the following criteria, here are 6 best hydration packs: (keep reading below for full reviews). Most people cringe at the thought of carrying extra weight during a race, and I believe we call all relate to this. It's actually the main reason why some athletes have never considered investing in a hydration pack before. The Geigerrig Tactical Rigger disputes this notion as it is extremely lightweight, with a design engineered to keep its weight negligible. So, let us dig into some of the features that make this Geigerrig Tactical Rigger our number one choice. Durability is the first feature you’ll love about it as it is comes in strong 500D Cordura fabric in coyote or black colors. 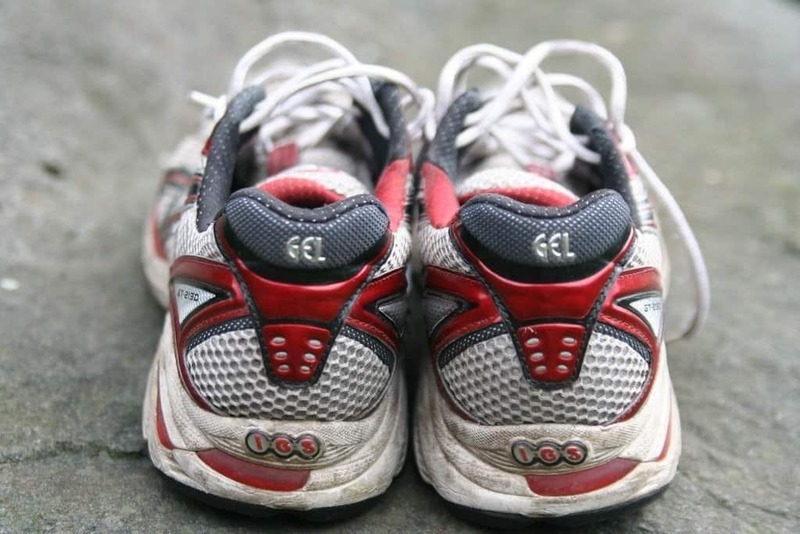 This ensures maximum resistance to abrasions and tears as expected in obstacle racing. Sprays, Filter Ready, Reversible 100 Oz, Dishwasher Safe Reservoir. 500D Cordura. Front Molle Webbing. Lateral Compression Straps. It is lined with quite a number of D-rings at the front and back for positioning of the water pipe and mouthpiece, as well as an internal shield that protects the delicate water reservoir from being damaged during the race. Its large-capacity easy-access interior is covered by a large flap with zippers on both sides and a Velcro strip at its bottom. This hydration pack has a little opening at the top to allow easier access to the water pipe, mouthpiece and pressurizing system when running. 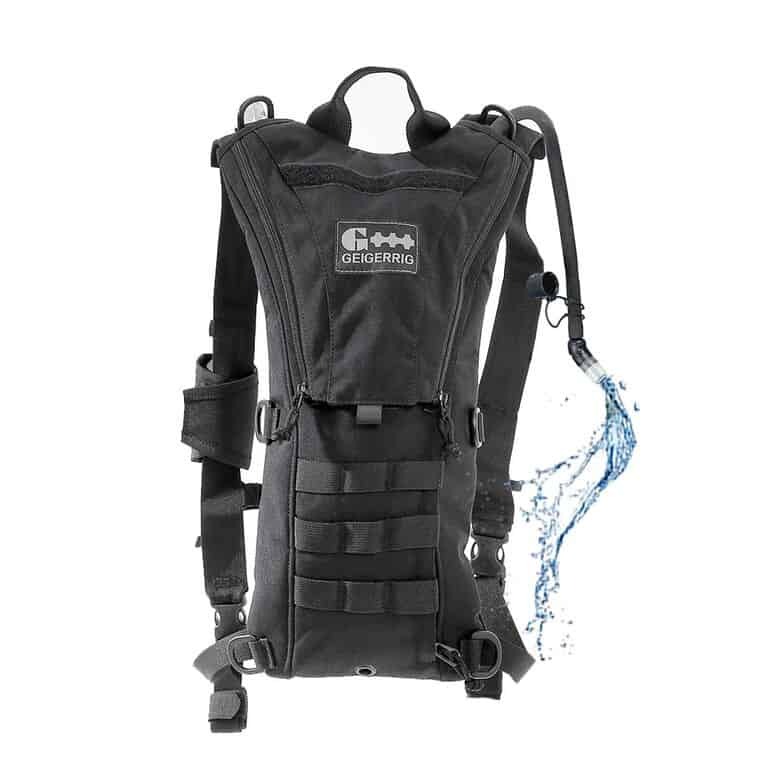 This Geigerrig hydration pack has a pair of adjustable shoulder straps for routing of the mouthpiece and pressure bulb, each with several D-Rings and quick release clips, as well as a chest strap for a snug fit. You will also love its pressurized hydration system featuring a hydration engine that forces water through its drinking tube when the power bulb is pressed. Its quick release system makes it easier for you to clean, attach filters, fill and empty it, while the simple twist on/off mouthpiece function makes it easier to open and close the water nozzle. The Geigerrig Tactical Rigger is compact and lightweight even with its 12 by 7 inch, 2L reservoir that is reversible, dishwasher safe and BPA and PTHALATE free. This hydration pack offers durability, comfort, ease of storage as well as value for the dollar making it your best shot when it comes to obstacle racing. A more in-depth review, check out the video below. When searching for a reliable hydration pack, we have to ensure that it is lightweight and compact. The Nathan VaporCloud Vest weighs 19.4 Oz which is 9 Oz lighter as compared to the Geigerrig Tactical Rigger making it ideal for you. 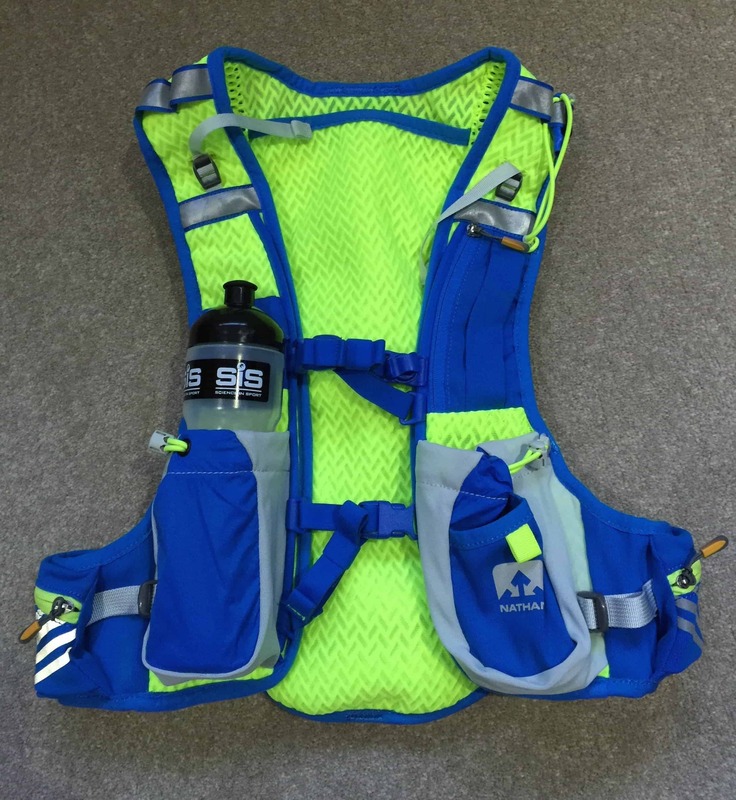 This hydration vest comes in electric blue/safety yellow and dark slate/blue stone color options, and it is made of different fabrics for comfort, durability and lightweight. Despite its compact and lightweight design, the Nathan VaporCloud has quite a sizeable interior, with the ability to hold up to 11L and 9.2L without and with the 2L bladder respectively. Depending on your body size, you are offered two sizes to choose from; S/M (33 to 39 inches chest) or L/XL (37 to 44 inches chest). 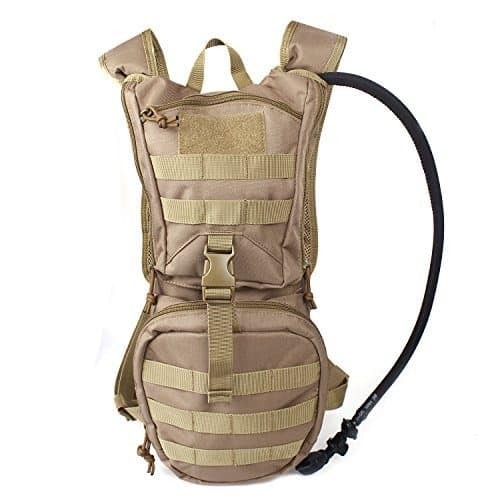 Since it is more of a vest rather than a backpack, this hydration pack provides a better fit and easier access to its components especially at the front and sides. The Nathan VaporCloud comes with a pair of snugly fitting shoulder straps with quick release clips, and they are made of breathable mesh material for maximum comfort and lightness. Its right shoulder strap features the pill storage pocket, bottle pocket for its Nathan Tru-Flex bottle and the drinking tube. Its left strap has a bottle pocket with a small storage area, a pocket with stretching zipper, routing for the drinking tube, one magnetic clip and a safety whistle, all of which are handy during a tough race. On both sides of this hydration vest are large pockets with a capacity of up to 0.75L, outfitted with easy-grip zippers. Since these pockets are easier to access as compared to those at the back, you could use them to store items you want to access quickly such as nutrition products. At the back, this hydration pack has a large storage area, two easy-grip zippered compartments and the hydration system compartment that is insulated to keep whatever is in the hydration bladder at constant temperature during the race. The hydration system has a stabilization system that compresses the hydration bladder, preventing it from sloshing. On purchase, this hydration pack usually has the BPA and PVC free HydraPak bladder included. This bladder has quick release valves, interchangeable drinking tubes and a simple twist on/off mouthpiece. Given its vest-like design, you will definitely enjoy a better fit, lightness and increased storage options. The Nathan VaporCloud is actually an ideal hydration pack for most of us who love maximum ease of access without having to ask someone else to pull items from our back pockets. According to Ryan of MudRunPics, it is extremely important to have your own stash of water and other supplies such as electrolyte/mineral drinks to avoid dehydration and heat cramping among other conditions that may prevent you from successfully completing your race. He recommends that you choose a hydration pack that is compact and hugs your body, and the CamelBak Baja LR does fulfill these conditions perfectly. Despite this, this hydration pack has a large capacity of 2L which is enough even for marathons. Its 3.28L cargo capacity consists of the 100% BPA free Antidote QuickLink reservoir compartment, the conveniently located media pocket for your camera, phone or mp3 player, the inflatable PFD carry and the waterproof pocket for your electronics. This is actually large enough for your water, electrolytes, snacks, sunscreen and other supplies you may need during obstacle racing. 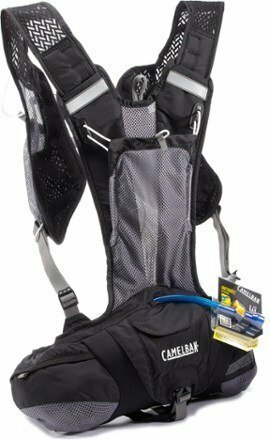 Unlike other hydration packs, the CamelBak Baja LR takes the lumbar pack design that ensures a lower center of gravity which provides better stability, especially for activities that involve climbing and crawling as common with obstacle racing. This design is streamlined and does not get in the way of any obstacles especially the Z-wall, log posts and balance walls and it also helps reduce this hydration pack's weight. Designed especially for water activities, the CamelBak Baja LR is made of easily drying materials and you need not worry about getting through wet obstacles with it. Its shoulder straps are wide and meshed, giving it a more snug vest-like fit, with elastic bands, belts and clips for adjustability. Its right side consists of the lumbar reservoir for easier access for filling, with the drinking tube extending from the right shoulder, hence a great choice for you if you love obstacle racing. The DolfinPack 2 hydration pack is designed to fit you perfectly and to go anywhere, thanks to its durability and sturdiness that doesn't compromise its obviously beautiful aesthetics. This hydration pack's design trims the fat pockets and bulky metal and plastic fittings, making it more lightweight and streamlined for racing. Its lightweight, all-weather proof and form-fitting design is what places the DolfinPack 2 ahead of most other hydration packs in the market. For every purchase of this hydration pack, you are guaranteed the highest quality 100% waterproof materials including military-grade Velcro. Though lightweight and compact, it will offer you more than enough space for the 1.5L BPA free reservoir provided. As a matter of fact, this reservoir is equipped with a simple twist on/off valve, a neoprene hose insulator and a dust cap, as well as a wide mouth for easy refilling and cleaning. Awards: Winner of the hydration anywhere "best running hydration pack". Featured in SUP magazine as a top hydration pack of 2015. Lightweight, minimalistic hydration pack for extreme sports and on the go hydration. Perfect for marathons, stand-up Paddle boarding, biking, surfing, hunting, snowboarding, skiing & other extreme sports. It comes in one size that fits most, thanks to its strap system that adjusts accordingly for the tightest fit for men, women and even older kids. This hydration pack's main water reservoir compartment provides extra wiggle room for other necessities including keys, money and electronics among others. As per the DolfinPack's recommendation, you should place such items in a waterproof bag before placing them into this hydration pack. 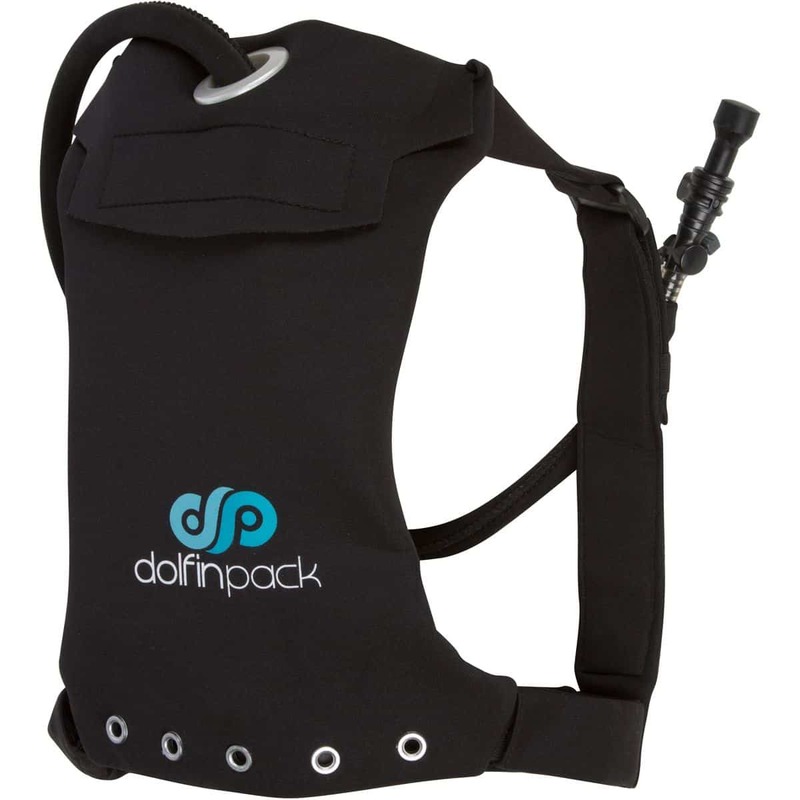 This DolfinPack 2 hydration pack comes in a variety of colors including pink/grey, lime green, slate grey/burnt orange and black. With its compact design, it is obvious that DolfinPack has actually achieved its strife to become the lightest hydration pack in the world. You should definitely give it a try, especially if you are smaller in body size. It is the least expensive of all of the options included in the article. 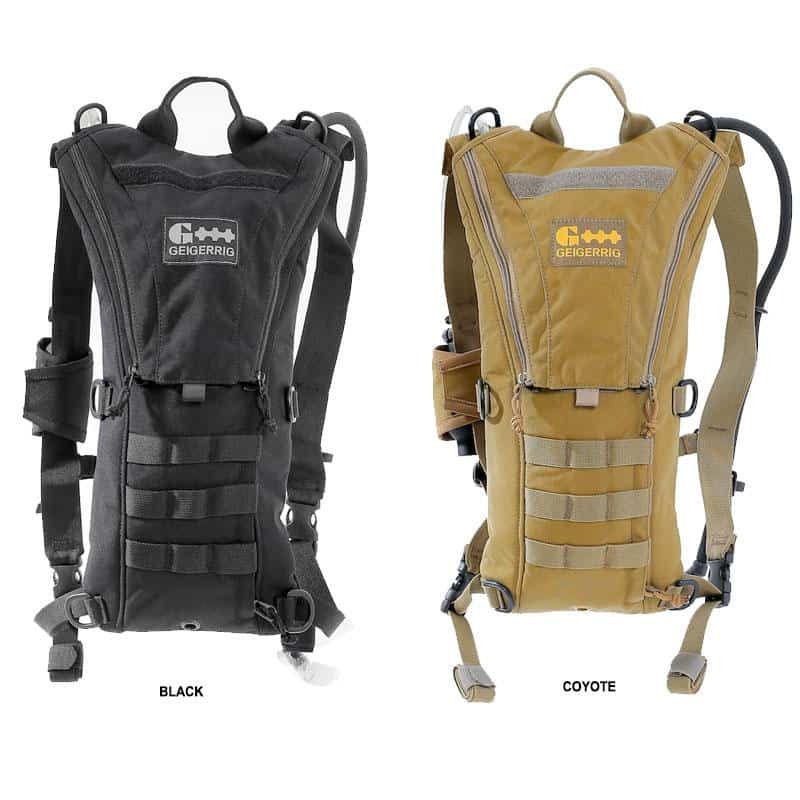 Present in black and tan color schemes, the Tactical Hydration Pack is designed with durability and comfort in mind. It features adjustable shoulder and chest straps that ensure it perfectly fits kids and teenagers of 27" chest size up to men and women with 50" chest size. For durability's sake, it is made of rugged 600 denier heavy-duty Polyester with PVC lining to resist abrasion and tears which could occur during obstacle racing. To ensure that you have enough supply of water during racing, this pack comes with a replaceable BPA free 2.5L hydration bladder with a wide screw cap for easier filling especially with ice cubes and also easier cleaning. This hydration bladder offers you a handsfree hydration hose with a bite valve so it can release water when bitten gently. This is more than enough to get you through all the obstacles you will face as you run. At 22 ounces in weight and measuring 19 by 10 by 1.5 inches, you may find it hard to believe that this hydration pack also comes with 2 front pockets for your phone, keys, wallet, towel and other essentials. 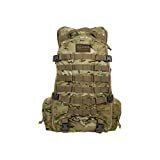 Its 100% satisfaction guarantee that lasts 60 days is sure proof that the Tactical Hydration Pack is the perfect choice for your hiking, running, biking, walking, climbing and especially obstacle racing. By purchasing the TETON Sports Trailrunner, you get the best quality and topnotch features from your investment. No matter what color you love most, you are most definitely going to love the black, blue, red, bright green or orange ones provided. This hydration pack is 0.9 pounds, measuring only 16 by 10 by 3 inches, thus a great choice for men, women and youth who love racing. 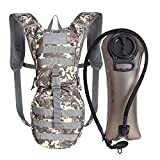 Included upon purchase is a 2L BPA free hydration bladder that has a lightweight, kink-free and durable sip tube with a bite valve that's push-lock cushioned. It has a 2 inch opening that is large enough for easier filling with ice cubes and also for better cleaning. 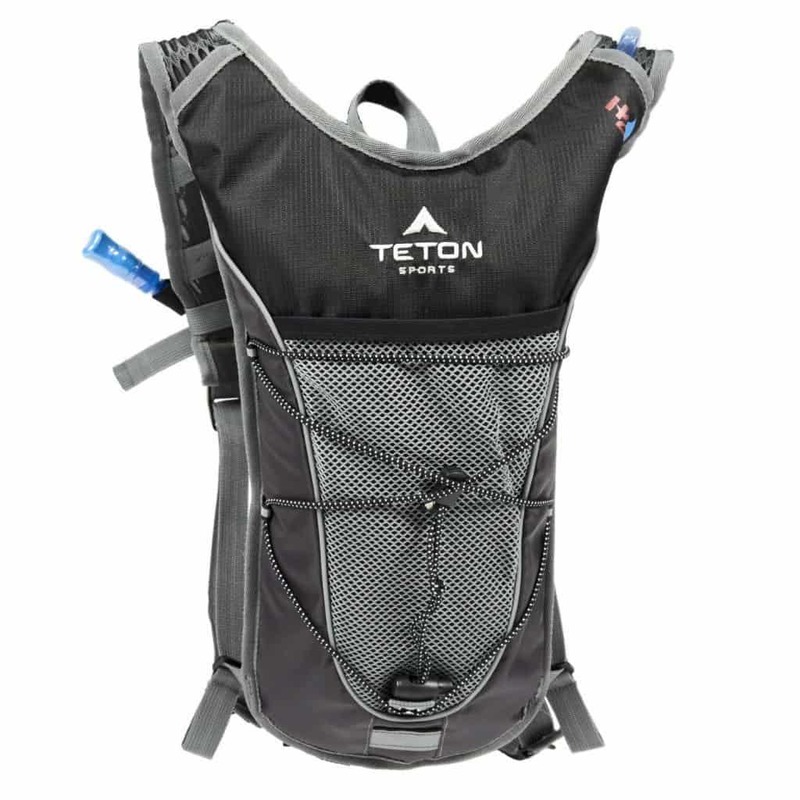 This TETON Sports hydration pack has a high-quality build and design, featuring a well-cushioned and meshed back panel with a quick-drain drip hole for breathability and flow of moisture. Its adjustment loops are for adjustment of the shoulder straps while on the move. Its safety features include a built-in brightly colored whistle, strap clips and reflective trim for better visibility, making it a great choice for all age groups. Obstacle racing is a sport that opens you up to the most unexpected, yet incredibly thrilling possibilities of life. Apart from putting your physical strength to test, obstacle racing also gives you valuable lessons on how to mentally prepare for the uncertainties of life. 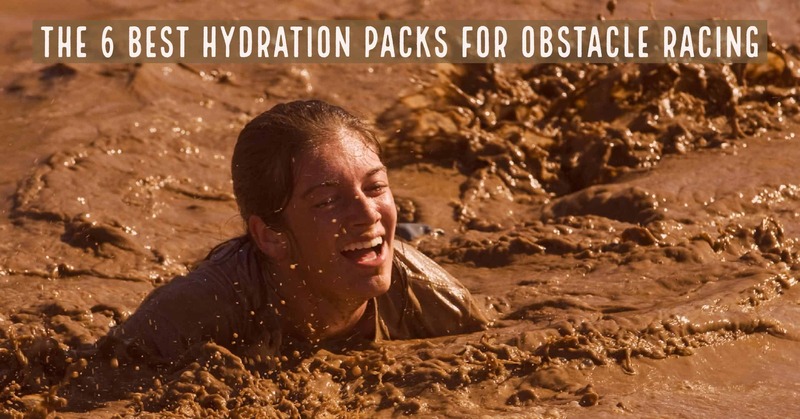 With the above hydration packs, I can assure you optimal hydration and maximum comfort throughout your race and as affordable as they are, these packs are designed to ensure your success in obstacle racing, thus I strongly recommend that you invest in one of them if you plan on participating and winning any obstacle racing competition.